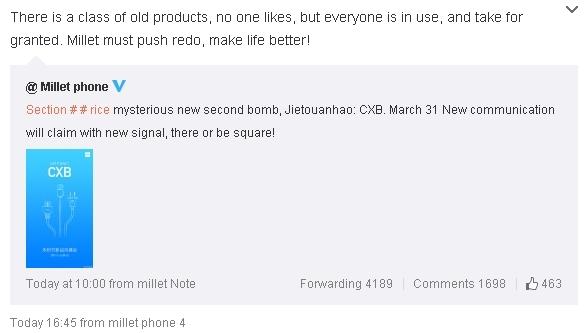 This is the second third coded message Xiaomi has sent out teasing their March 31 Fifth Anniversary product announcements. 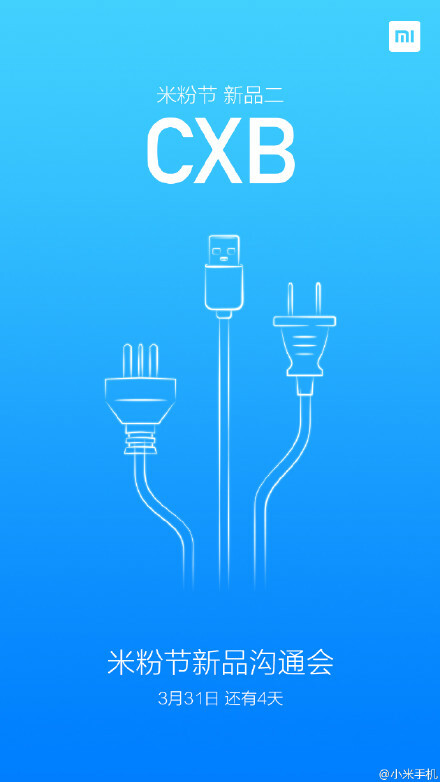 I’d say this one is pretty clear that Xiaomi will be using USB-C this year. Ah, that’s an even better idea! There’s supposed to be a range of products, as iLevon said on Weibo. At the very least a new MiBand is possible, if not an actual watch. 3. Orange background, magnifying glass and a youtube (?) icon: “… DDS, rice agents who ask to break as soon as possible. My guess: a smartwatch with heart rate monitoring (1), wireless charging (2), small screen & notifications (3). Different colors. I’m very curious about the OS. 4. Bullseye target with 0.1 0.2 0.3 0.4 on a yellow/green background. Code TZC.